3rd period goals from Rich Nash and Jimmy Vesey propelled the Rangers to a 3-2 come-from-behind win over Carolina Tuesday night at The Garden. Henrik Lundqvist made 26 saves for the win. The Hurricanes jumped out to a 2-0 lead in the 1st period on a pair of goals by former Blueshirt Viktor Stalberg. Nick Holden got the Rangers on the board in the 2nd period, taking his own rebound and beating Cam Ward at 9:13 to make it 2-1. Then in the opening moments of the 3rd period, a great individual effort by Nash tied the score. Nash picked up a loose puck in the Rangers’ zone, skated down, muscled his way toward the net, and put a backhander past Ward to tie the game, 2-2, just 24 seconds into the period. Nash has three goals in the past five games, and 10 goals on the season. Vesey’s powerplay goal with 5:12 to play gave the Rangers the lead. Brady Skjei‘s slapshot from the blue line was blocked before it got to the net. Nash picked up the puck but his shot was stopped. Vesey put the rebound in a wide-open right side of the net for his 8th of the season. The Rangers [now 16-7-1, 33 pts] play the Sabres Thursday night in Buffalo. The Rangers’ offense is like the faucet in an old house; when you turn it on you don’t know if you’re going to get the Hot or the Cold. Sunday night at The Garden, Rangers fans got the Cold, as the Ottawa Senators shut out the Blueshirts, 2-0. It was New York’s first time being shut out this season. Even with the shutout, the Rangers are the highest-scoring team in the NHL, averaging 3.70 goals per game. Jean-Gabriel Pageau [at 1:54] and Mark Stone [a power play goal at 16:11] scored 2nd period goals, and Ottawa’s Craig Anderson made 33 saves. Little went well Sunday night; the Rangers’ power play went 0-for-4. Antti Raanta made 18 saves but took his first loss of the season. After starting 13-5-0 in their first 18 games, the Blueshirts have gone 2-3-1 in their last six, including an 0-2-1 mark in their last three home games. There was a nice moment in the 1st period, as the team saluted Derick Brassard, who was traded to the Senators in the off-season. The Garden crowd gave him a standing ovation. The Rangers [now 15-7-1, 31 pts] host the Carolina Hurricanes Tuesday night at The Garden. 48 hours ago, Henrik Lundqvist and the Rangers played one of their worst games of the season, losing to the Penguins, 6-1, at The Garden Wednesday. Friday afternoon in Philadelphia, Lundqvist and the Blueshirts rebounded, playing one of their sharpest games, beating the Flyers, 3-2. Lundqvist gave up four goals on seven shots in the 2nd period Wednesday and was replaced by Antti Raanta. Friday, the 34-year-old Lundqvist made a season-high 40 saves and recorded his 10th win of the season. The Blueshirts scored two goals in a 1:34 span midway through the 1st period to take a 2-0 lead. Derek Stepan‘s 4th goal of the season, at 13:16, made it 1-0 New York. Then Matt Puempel, playing his first game as a Ranger since being acquired Monday, scored his 1st goal, at 14:50. Puempel took a backhand pass from Jimmy Vesey and beat glare Steve Mason to make it 2-0. Kevin Hayes made it 3-0 at 12:33 of the 2nd period, scoring his 10th goal of the season, deflecting a Nick Holden shot past Mason after a Philadelphia turnover. The Flyers made it 3-1 on Chris VandeVelde‘s goal at 1:34 of the 3rd. And later, with Mason pulled for an extra attacker, Shayne Gostisbehere made it 3-2 with 2:04 to play, but the Rangers and Lundqvist held on for the win. 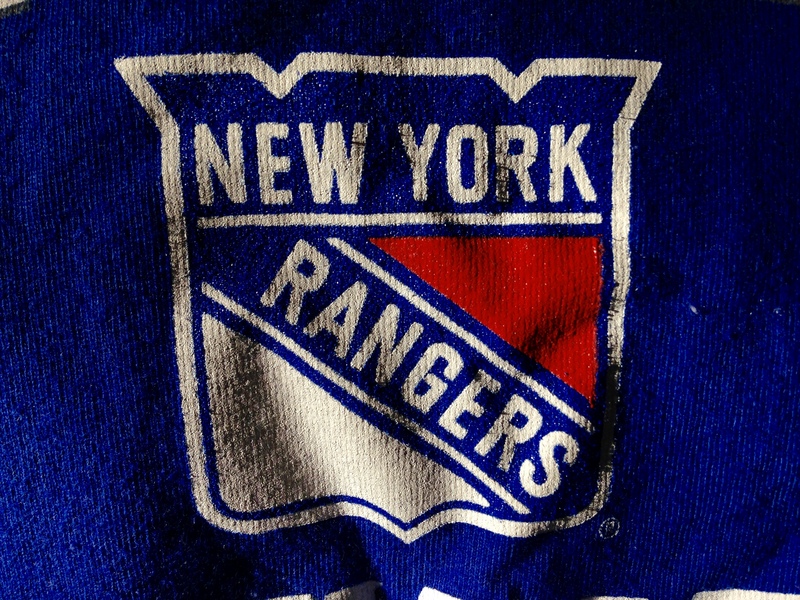 The Rangers [now 15-6-1, 31 pts] host the Ottawa Senators Sunday night at The Garden. Anyone who watched the Rangers’ 5-2 win over Pittsburgh Monday, and saw the 1st period against the Penguins at The Garden Wednesday night, probably thought “We’ve got these guys”. Then came the 2nd period. Trailing 1-0 at the start of the period, the Penguins scored five goals in the 2nd, and went on to crush the Blueshirts, 6-1. Henrik Lundqvist gave up four goals on seven shots in the first 13 minutes of that period, and was replaced by Antti Raanta. Rick Nash scored the lone Rangers goal, 4:22 into the game, his 9th of the season. In the 2nd, goals by Scott Wilson, Sidney Crosby, Phil Kessel and then Crosby’s 2nd goal of the period made it 4-1 with 7:02 to go in the period. Raanta entered the game and, following a long, maddening stretch where the Blueshirts could not clear the puck out of their end for near 90 seconds, Conor Sheary scored at 16:42 of the period to make it 5-1. Matt Cullen‘s 3rd period goal provided the final 6-1 margin. The Rangers had only 17 shots on goal in the game [7-6-4]. Pittsburgh’s Matt Murray made 16 saves for the win. The Rangers [now 14-6-1, 29 pts] play the Flyers in Philadelphia Friday afternoon. The Florida Panthers edged the Rangers in a shootout Sunday night at The Garden. It was the first time this season the Blueshirts have lost back-to-back games. But that was not the worst news of the night. Mika Zibanejad slid into the end boards in the 3-on-3 overtime and broke his left fibula. Coach Alain Vigneault said after the game that Zibanejad will be out 6-8 weeks. A big blow for the up-tempo Rangers offense. In the shootout, Mats Zuccarello‘s shot was stopped. Vincent Trocheck scored. Brandon Pirri was stopped by James Reimer. And Alexander Barkov skated in on Henrik Lundqvist, slowed down, faked, deked, and faked some more before dribbling the puck past Lundqvist for the win. Lundqvist, playing his 700th career game for the Rangers, made 28 saves but took the loss. The Rangers [now 13-5-1, 27 pts] begin a home-and-home with the Stanley Cup champion Penguins Monday night in Pittsburgh. The Rangers got a powerplay opportunity with 9:25 to play Friday night and the score tied 2-2, and Blueshirts fans probably thought “This is where we win it”. But it was not to be. Matt Calvert‘s short-handed goal with 8:25 to go gave the Blue Jackets the lead, and they held on to beat the Rangers, 4-2, Friday night in Columbus. The loss snapped New York’s three-game winning streak. It was the first time in ten games that the Rangers’ high-octane offense scored fewer than three goals. The teams played lethargically in the 1st period, combining for only six shots in the period. William Karlsson‘s slapshot goal at 16:34 was the only goal of the period and gave Columbus a 1-0 lead. Sam Gagner made it 2-0 at 5:38 of the 2nd period, and, midway through the period, Michael Grabner deflected a pass, scooped up the loose puck and skated down and scored to make it 2-1 at 11:04. It was Grabner’s team-leading 11th goal of the season. In the 3rd, Mika Zibanejad took a Brady Skjei pass and scored to tie the game 2-2 at 8:32. It was Skjei’s 11th assist of the season, tied with Ryan McDonagh for tops on the team. That set the stage for Calvert’s short-handed heroics. Boone Jenner‘s empty-net goal with :01 to play provided the final 4-2 margin. Sergei Bobrovsky made 25 saves for the win. Henrik Lundqvist stopped 20 of the 23 shots he faced, and fell to 9-5-0 on the season. The Rangers scored four goals in the 3rd period, breaking open a close game, and went on to beat the Canucks, 7-2, Tuesday night in Vancouver. J.T. Miller and Kevin Hayes each scored two goals, and Mats Zuccarello had a goal and two assists. Henrik Lundqvist made 36 saves, including 17 in a frenetic 1st period, for his 9th win of the season. The Blueshirts have won three in a row, 8 of 9 games, and 11 of 13. Vancouver had beaten the Rangers, 5-3, November 8th at The Garden. Miller got the Rangers on the board late in the 1st period, scoring his 6th goal of the season at 18:42 to make it 1-0. Miller deflected Zuccarello’s pass with the heel of his stick and past Vancouver goalie Jacob Markstrom. In the 2nd, goals by Hayes [at 9:08] and Brandon Pirri [a power play goal at 14:38] stretched the New York lead to 3-0, before a goal by Brandon Sutter with just 41 seconds to go in the period made it 3-1. The Rangers kicked their offense into high gear in the 3rd period. Goals by Hayes and Miller 42 seconds apart made it 5-1. Markus Granlund‘s goal at 13:26 cut it to 5-2, but a goal by Zuccarello at 15:02 [off a perfect cross-ice pass from Nick Holden, right to the tape of Zuccarello’s stick] made it 6-2. Holden closed out the scoring at 18:04 with a power play goal, his 2nd goal of the season. The Rangers [now 13-4-0, 26 pts] finish up their four-game road trip Friday night in Columbus. Michael Grabner continued his torrid start to the season, scoring two goals, and Antti Raanta made 38 saves to remain undefeated, as the Rangers beat the Oilers, 3-1, Sunday night in Edmonton. The Blueshirts have won two in a row, 7 of their last 8 games , and 10 of 12. The team was shorthanded for the game; both Chris Kreider and Pavel Buchnevich missed the game with injuries. Alain Vigneault suited up 11 forwards and 7 defensemen, though Adam Clendening did not see any action. Grabner’s two goals gave him ten goals on the season, tops on the team, and already more than the nine goals he scored in 80 games with Toronto in 2015-16. [His career high, BTW, is 34, with the Islanders in 2011-12]. Grabner got the Rangers on the board just 1:20 into the game, taking the rebound of a Kevin Klein shot and putting the puck past former Rangers net minder Cam Talbot to make it 1-0. The Blueshirts made it 2-0 at 13:18 of the 1st with an extra attacker on the ice before a delayed penalty was called; Kevin Hayes‘ shot appeared to deflect off Dan Girardi‘s skate and in for the goal. It was Girardi’s 3rd goal of the season. Edmonton’s Andrej Sekera scored, off a nice pass from Connor McDavid, to make it 2-1 at 18:45 of the 1st period. Grabner scored again in the 2nd period, poke-checking the puck away from Ryan Nugent-Hopkins, and then skating in and beating Talbot to make it 3-1. The goal was reviewed because the net was knocked off its moorings, but was declared a good goal. Then Raanta and the New York defense took over. Raanta made 14 saves in the 2nd period and another 12 in the 3rd period. And the Rangers’ defense blocked 22 shots on the night. Raanta is now 4-0-0 on the season. The Rangers (now 12-4-0, 24 pts] continue their West Coast road trip Tuesday night in Vancouver against the Canucks. The Canucks beat the Blueshirts 5-3 last Tuesday at The Garden. 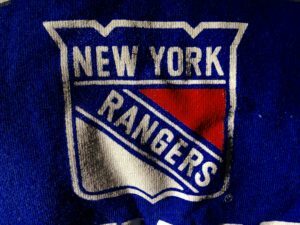 Based on the way the two teams skated Tuesday night at The Garden, you’d have thought the Rangers were playing their second game in as many nights, and the Canucks were winners of five straight. Vancouver scored four goals in the 3rd period to beat an out-of-kilter New York squad, 5-3, ending the Blueshirts’ five-game winning streak. The five Vancouver goals were the most goals allowed by the Rangers in a game this season. The Rangers’ offense, which had scored 26 goals during the winning streak, showed none of the speed that had defined the team in the first few weeks of the season. After a scoreless 1st period, Pavel Buchnevich got the Rangers on the board 7:20 in the 2nd period, scoring his 3rd goal in as many games. Loui Eriksson tied the game, 1-1, with his 1st goal of the season at 15:18. In the 3rd, Henrik Sedin gave the Canucks a 2-1 lead at 2:29, but then a pivotal sequence: Markus Granlund ran into Antti Raanta at 4:27, and Raanta appeared to bump his head. Granlund was given a penalty, and Raanta stayed in the game briefly. The Rangers took advantage, as Rick Nash scored a power play goal at 5:27 to make it 2-2. It was Nash’s 400th career NHL goal. Then, at 8:27, Raanta went to the locker room to be checked out further, and Henrik Lundqvist came in, without any warm-up. The Canucks scored two goals off Lundqvist; Alex Burrows at 9:21 [his first of the season] to make it 3-2, and the Sven Baertschi at 13:08 [his first of the season] that made it 4-2. Raanta would return to goal with 5:14 to play, but was quickly pulled for an extra attacker. Burrows scored an empty-netter at 16:52 to make it 5-2. Mika Zibanejad scored with 59 seconds to play for the final 5-3 margin. Lundqvist played 6:19 and gave up the two goals on six shots. Jacob Markstrom made 23 saves for the win. The Rangers [now 10-4-0, 20 pts] start a four-game road trip Saturday night in Calgary. The Rangers broke open a close game with four goals in the 2nd period and cruised to a 5-2 win over the Winnipeg Jets Sunday night at The Garden, extending their win streak to five. The Blueshirts have won 8 of their last 9 games. The Rangers have now scored five or more goals in five straight games, for the first time since 1978-79, when they accomplished that feat in nine straight games. Henrik Lundqvist made 24 saves for his 7th win of the season. After Kevin Hayes and the Jets’ rookie sensation Patrik Laine exchanged goals in the 1st period, the Blueshirts took a 2-1 lead midway through the 2nd period as Mats Zuccarello took a Chris Kreider pass and scored at 10:02. After Mark Scheifele tied the game at 12:02, J.T. Miller gave the Rangers the lead for good 59 seconds later with his 5th goal of the season at 13:01 to make it 3-2 New York. Jesper Fast made it 4-2 at 16:24 of the period when Kevin Klein‘s slapshot deflected in off Fast’s right skate for a goal. That 4th New York goal ended Winnipeg goalie Connor Hellebyuck‘s night [after giving up four goals on 16 shots]; he was replaced by Michael Hutchinson. 41 seconds later, Pavel Buchnevich used a nifty move to beat Hutchinson and make it 5-2 Rangers, skating in, and, as he slid to the left of the net, waiting just long enough to lift the puck over Hutchinson for the goal. It was Buchnevich’s 2nd goal in as many nights; he scored his 1st goal of the season in Saturday’s 5-2 win at Boston. Brandon Pirri and Klein each finished with two assists. Brady Skjei had an assist for the 5th straight game. The Rangers [now 10-3-0, 20 pts] host the Vancouver Canucks at The Garden Tuesday night.